How does a student submit an Assignment? 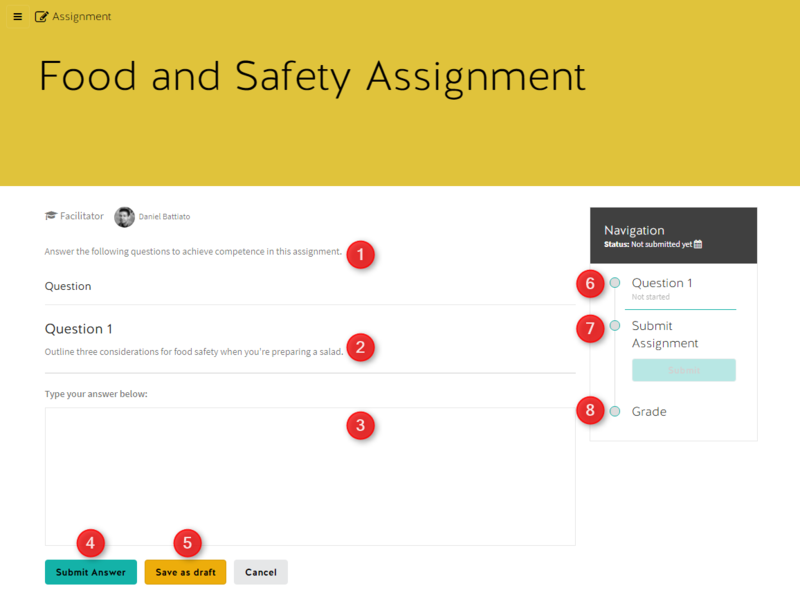 Once a Participant enters a Course and reaches an Assignment, they will be required to answer and submit each question and then submit the whole Assignment. Displays when the Participant has answered all questions and allows for the final submission of the Assignment.